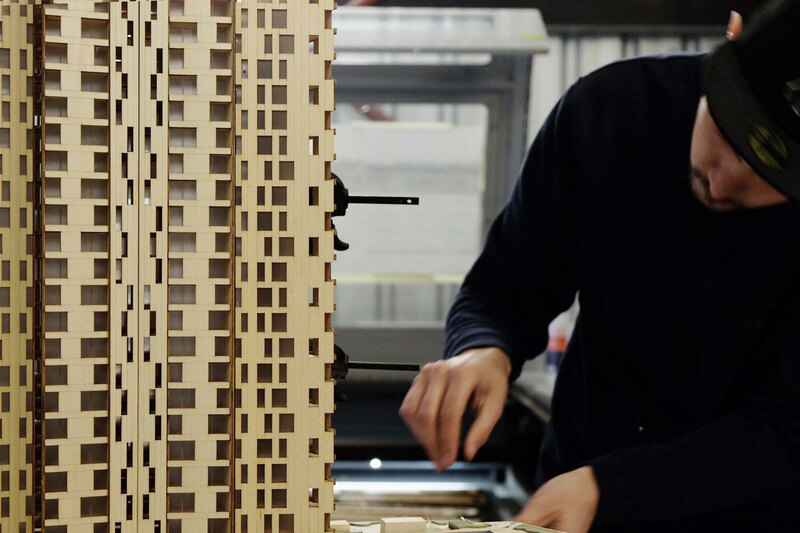 Interview: Architectural Model Making Studio ‘MAKE Models’. 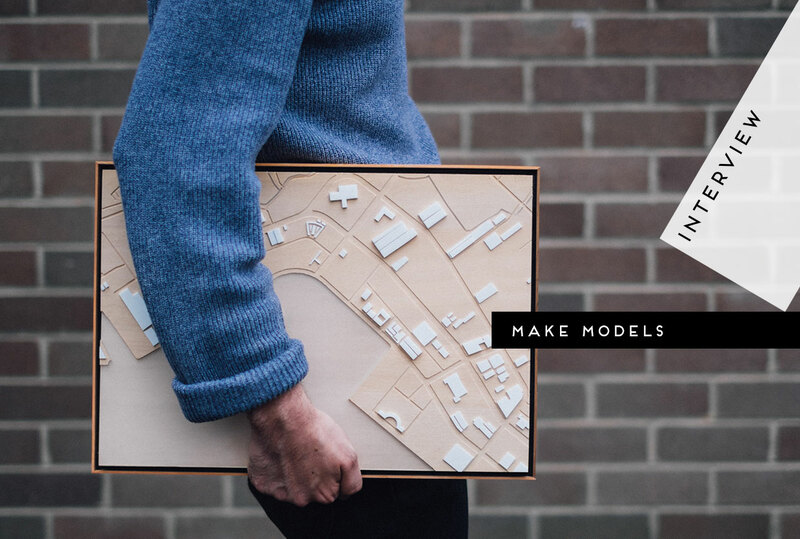 MAKE Models is a Sydney based Architectural Model making studio, established in 2013 by Masters of Architecture graduates Celeste and Nikola. The studio was formed in response to the dwindling use of physical means of representation in contemporary design processes. MAKE Models is spurred on by the belief that a physical model still has the ability to capture a specific, abstract character, idea and quality in a universal language. 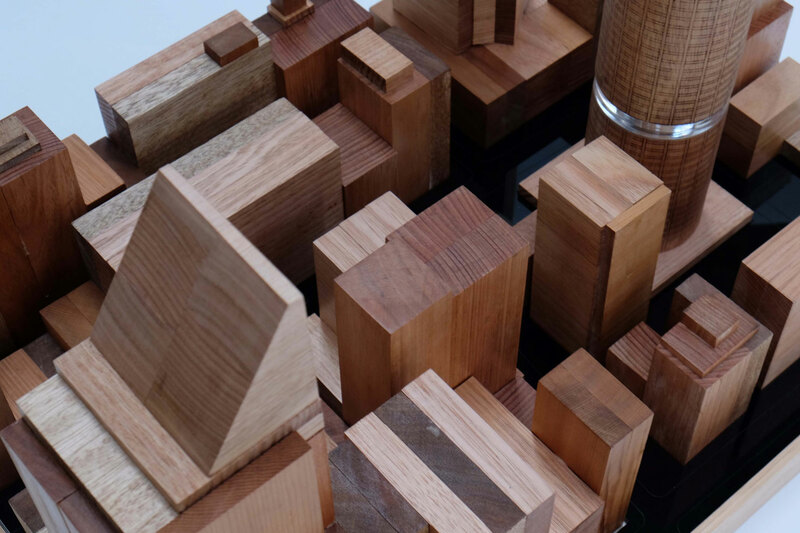 By using reduced material palettes, focusing primarily on hardwood timbers, foams and resin casts, MAKE works supports abstract ideas, rather than moving them toward the hyper real, bringing forward the core architectural ideas of each specific project. 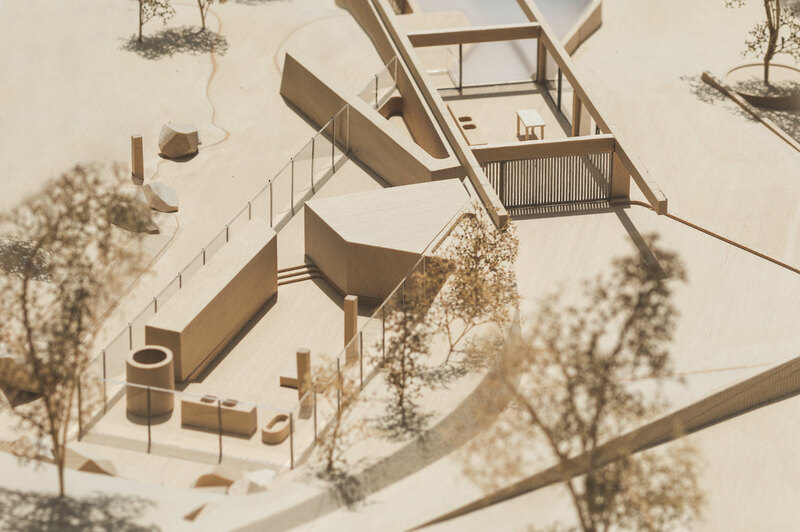 MAKE Models has contributed to several winning architecture competition entries including Andrew Burges Architects‘ Green Square Aquatic Centre; Villa + Villa’s Brokenwood Wines and CHROFI‘s Harbord Diggers proposal. We recently had a chat to the very talented duo about the art of model making and their approach, and here’s what they had to say. 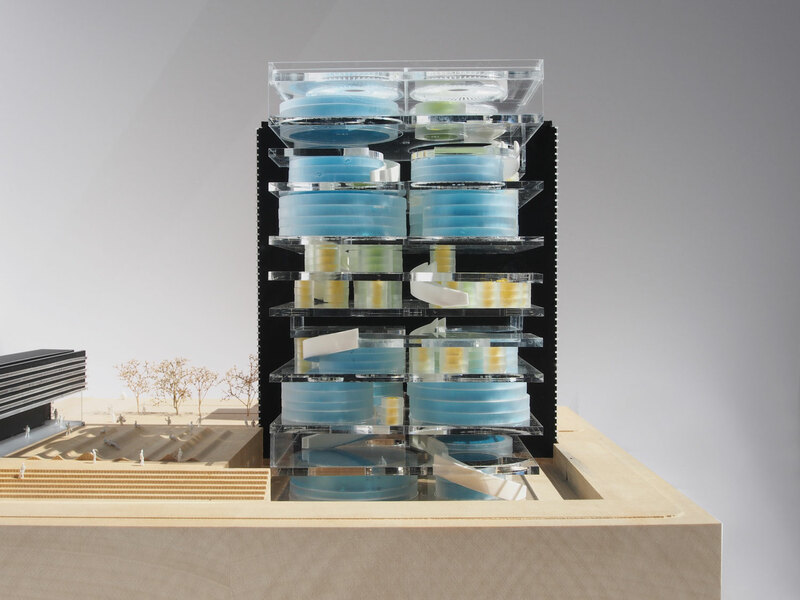 Woods Bagot, Conceptual Office Model, 1:200 (Brass, Acrylic, Basswood, American Oak) 2016. + Hello Celeste & Nikola, welcome to Yellowtrace and thank you for taking the time to e-chat! Could you please give us a quick introduction on yourselves? How did you become interested in architecture, and at what point did you decide you wanted to specialise in model-making? And how did you two meet? Let’s see. We first met while studying architecture 4 years ago at UTS in Sydney. 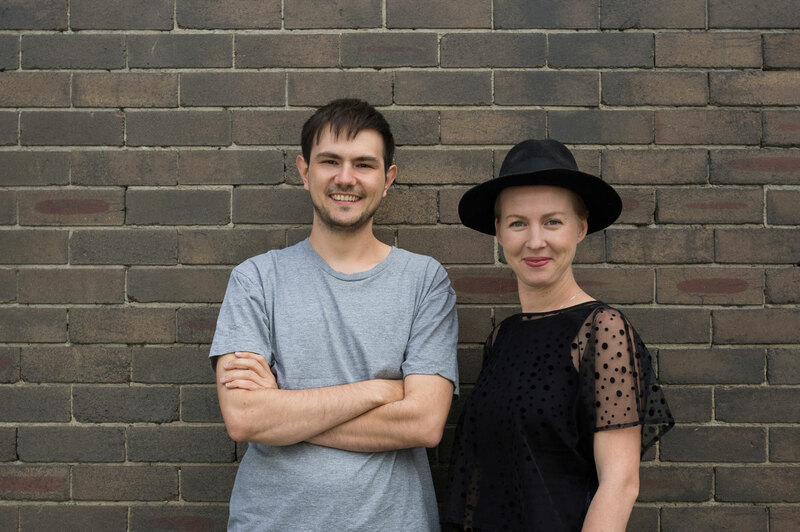 When we had finished our Masters, Nikola started working in architecture firms and I got a job at Sydney University in their Digital fabrication Lab where I was exposed to 3D printers, CNC routers and robots. Around this time, Nikola started to explore side projects like Vivid, and was getting more interested in hands-on fabrication at the same time that I was developing skills in how to apply high tech machinery to Architecture. 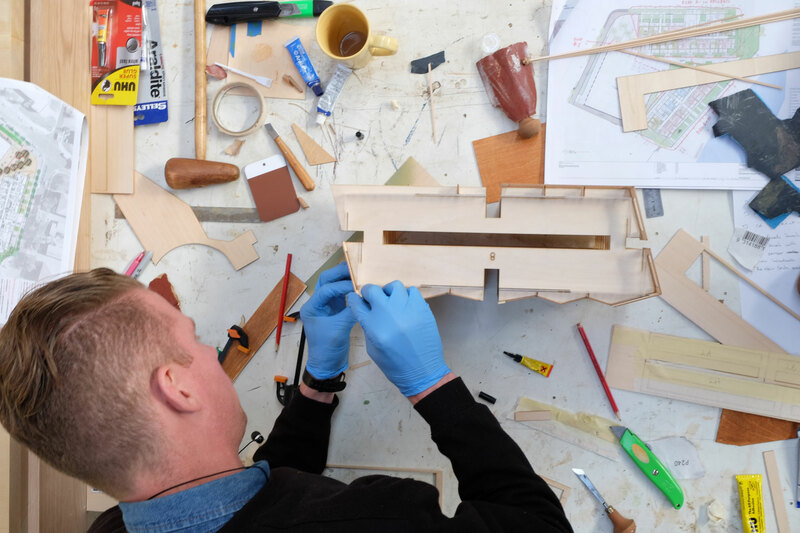 After much thought, we decided we’d merge our two interests, to create a model shop that would give us the tools and freedom to not only specialise in architectural models, but other facets of design fabrication. Confidential 1:1000 (Timber, Acrylic, 3D Print) 2016. + Could you please talk a little bit about the process of working with your clients (and exactly who are your clients?). During which part of the project are you typical engaged – initial concept stages, design development, or final/ marketing stages? Our clients vary a lot more than most people would think! We do obviously get a lot of work from architects, but we also work regularly with interior designers, decorators, graphic designers, TV or film producers and artists as well. We often get engaged quite early on in the concept stage to do concept models, which gives us more freedom to explore materials in abstract ways. Then other times we’ll get engaged in a design development stage where we can tap into our architecture backgrounds. 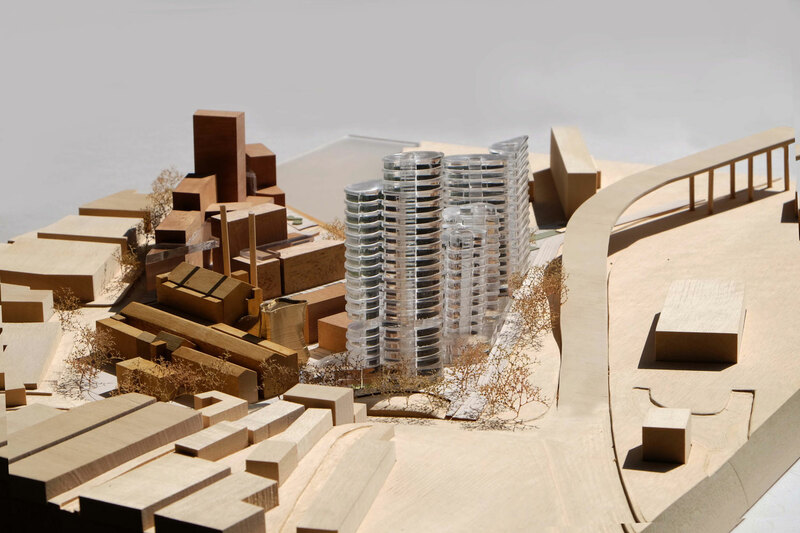 Those models often have a specific design-resolution function, for example, to understand the relationship between different architectural elements like the facade to structure, or help a project get through council. Bowerbird Interiors, Doll House, 1:12, (Acrylic, Various Fabrics, Solid Timbers, Plaster, 3D Print) 2015. + What are your favourite types of models – quick & dirty, or more sophisticated variety? What are some of your favourite materials to work with? And how long do your models usually take to produce? I’m going to break the rules here and say – Quick and Sophisticated! We tend to work with a mixture of hard and soft timbers. We find the materiality of timber, quite warm and it’s quite a malleable tool when it comes to representing different elements. Aside from that, we tend to work with lots of acrylics, foams, resins and metals. The time scale on the models varies quite a bit. Some of our models can be turned over in a day, whilst others can take months! It really depends on what stage it’s in and who the audience is. Typically the fast ones, are for the designer’s eyes only and the longer ones are usually for public displays where every little detail needs to be spot on. 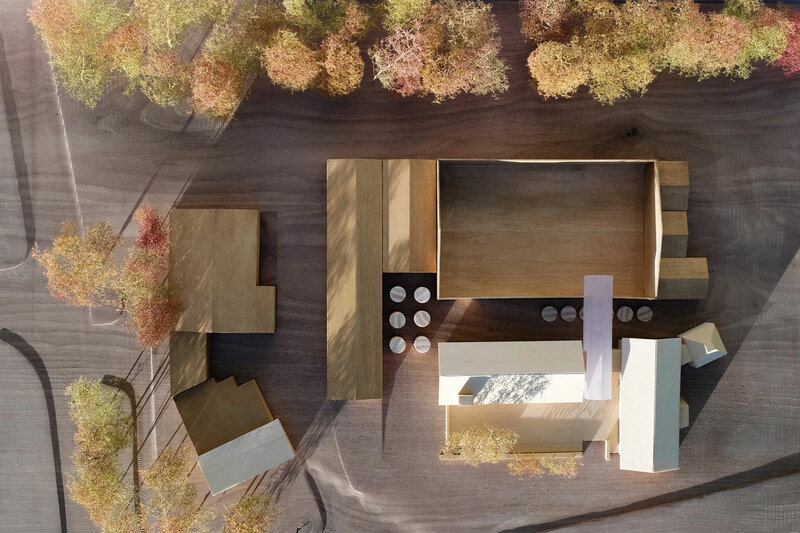 Villa + Villa, Brokenwood Wines Winning Competition Model, 1:200 (Solid Timbers, Basswood, Resin, ) 2014. + How intimately do you feel you get involved in various projects? Do you ever feel that you have some input in the design process and the physical manifestation of buildings? 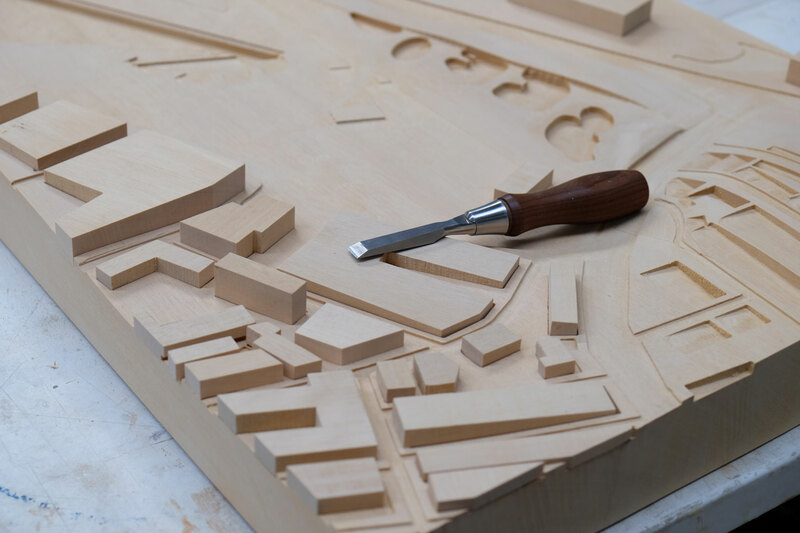 We feel connected to every model and project we make, so we try to get involved in the conversations surrounding the work. 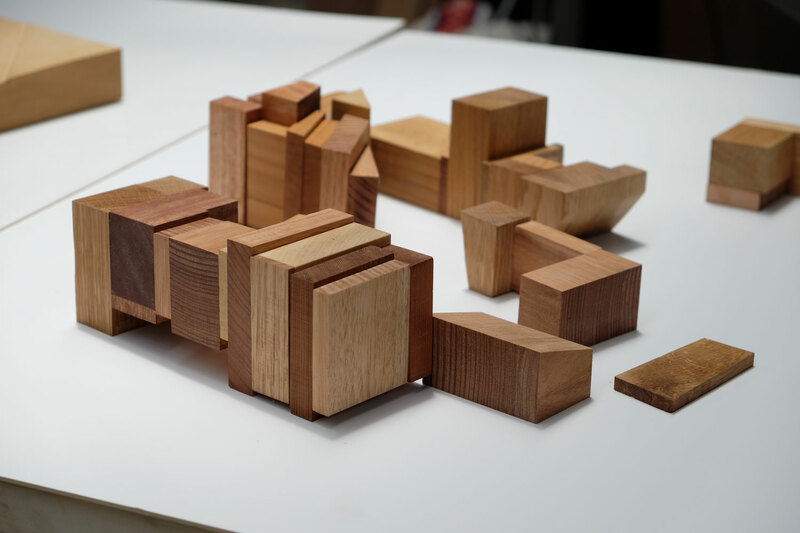 A physically scaled object typically leads to discussions on height, set back, physical form and articulation and that tends to get reviewed once the model is presented. 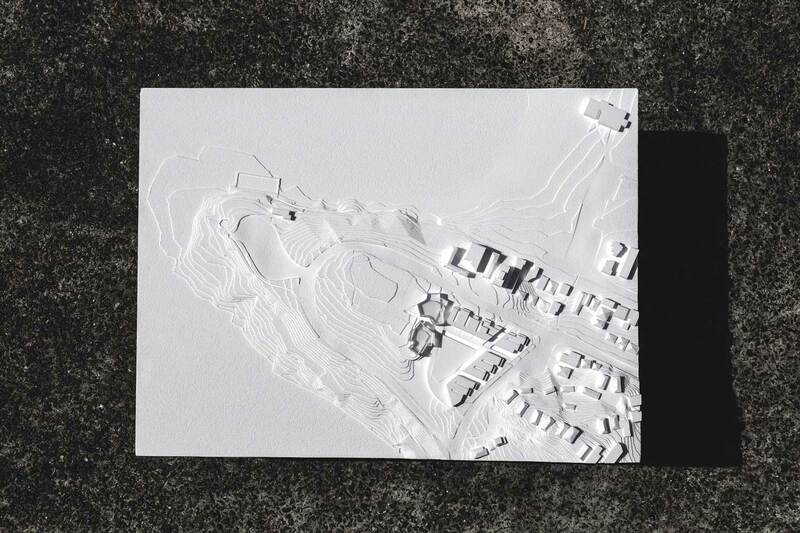 There tends to be a bit of back and forth between the scale model and the final outcome. So from our perspective, it’s fascinating to watch our clients debate and discuss alternate views or ideas that are generated when they see their design physically manifested for the first time! Some times, our models are the first opportunity that clients have to seeing the comparative scale of their designs. You would be surprised how many first comments are “gosh, is it really that big?”. 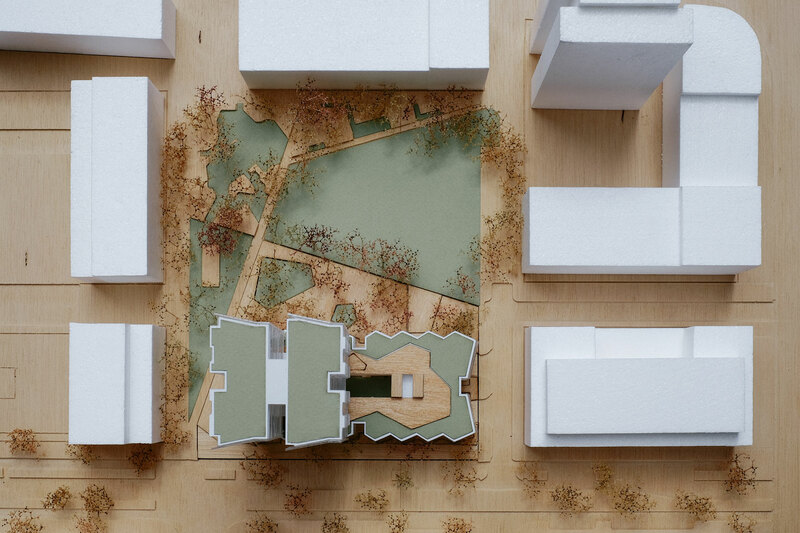 Urban Possible (UP), 52 O’dea Avenue Competition Model, 1:200 (Solid Timbers, Foam, Paper, Cardboard, Acrylic) 2014. + You are in a somewhat privileged position of being in contact with so many architects during various phases of the design process. This would have given you a unique insight and a different perspective from multiple practices. How has this shaped your view of architecture here in Australia – our design process, but also our industry and the business of architecture? That’s a part of the job that we really love! Getting to peer behind the doors of some architects that you really respect and admire, and becoming part of their work-flow. It’s really interesting to see how different some practices can be across the board, particularly with regards to physical prototyping. Some offices are littered with hand-made mockups from quite early stages in their projects, because they see it as crucial tool in design. Others can have a lot more of a digital process, remaining solely in the computer. One thing we’ve definitely witnessed is the influence of the clients on the work-flow. Some clients really want to produce an outstanding architecture, whilst others can be in it for more of a financial benefit. 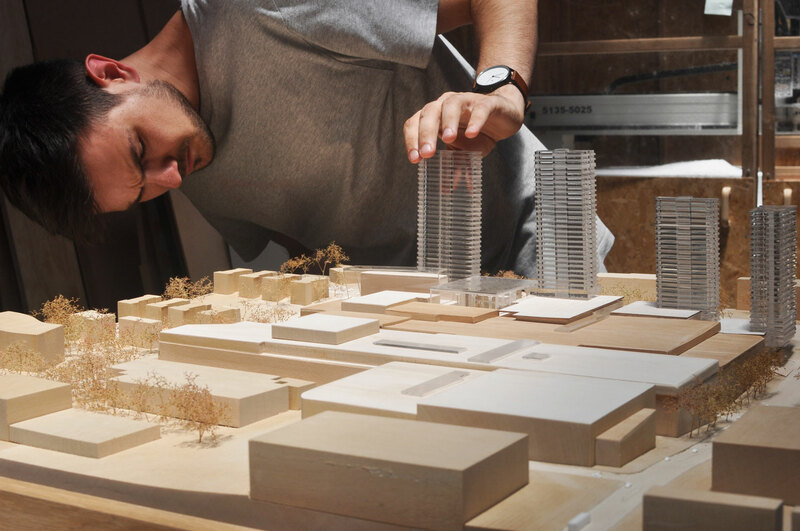 From our perspective, it is quite easy to decipher when the models we’re doing come from a passionate place, to represent an architecture that is filled with ambition, and when it’s purely just to tick a box. Crone Partners, Mandaue Site Model, 1:1000 (Solid Timbers, Acrylic) 2014. Grimshaw, Conceptual Model, 1:500 (Mahogony, Acrylic) 2014. Chrofi, Harbord Diggers Winning Competition Model, 1:500 (Foam, Acrylic) 2015. + How is your studio structured? i.e. How many of you work in the studio, what types of skills do you have in-house, is there anything you outsource, and how many projects do you handle at any one time? Me on the other hand, I suffer from an “I can do that” kind of attitude, which is both my best and worst quality. I enjoy being hands on, and learning new techniques by making things and experimenting. I’m much more interested in exploring and pushing new techniques. We have quite a mutual skill set, and both interchange between working on computers doing finance, marketing and model prep, to the woodworking machines, to the laser-cutter, to the 3D printer, to operating the CNC. 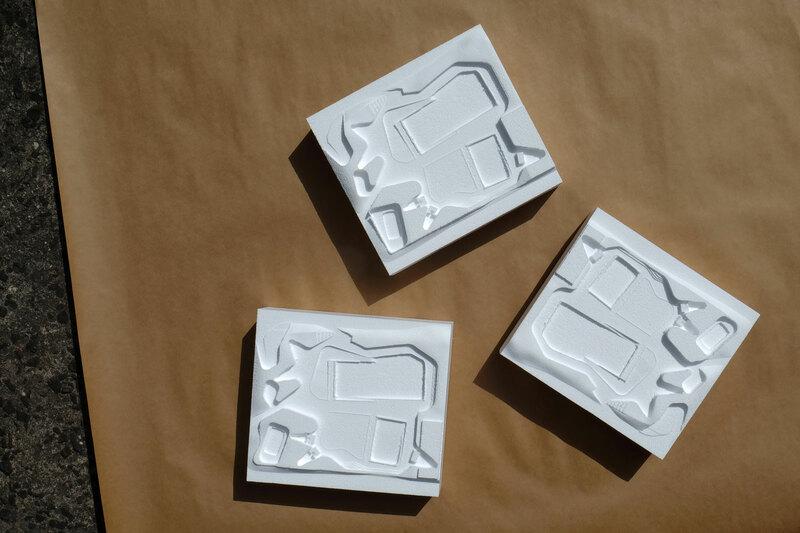 The only things we outsource are acrylic display lids and some types of 3D prints that our machine can’t handle, which may require an industrial printer. Oh and lunch, we outsource most of our lunch. Other than that Make Models is entirely an internal operation. Chrofi, Lune de Sang Pavilion, 1:200 (Solid Timbers, Basswood, Plywood, Acrylic) 2014. 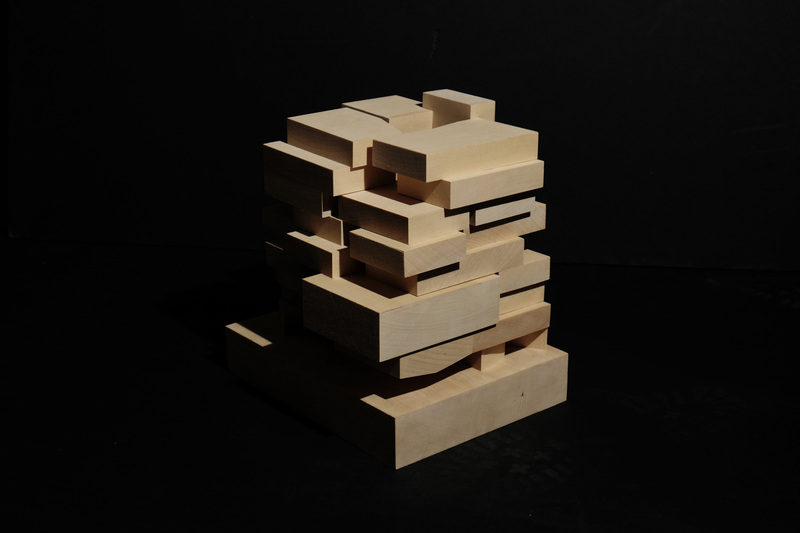 Andrew Burges Architects, Green Sqaure Aquatic Centre Winning Competition Model, 1:500 (Solid Timbers, Basswood, Plywood) 2015. 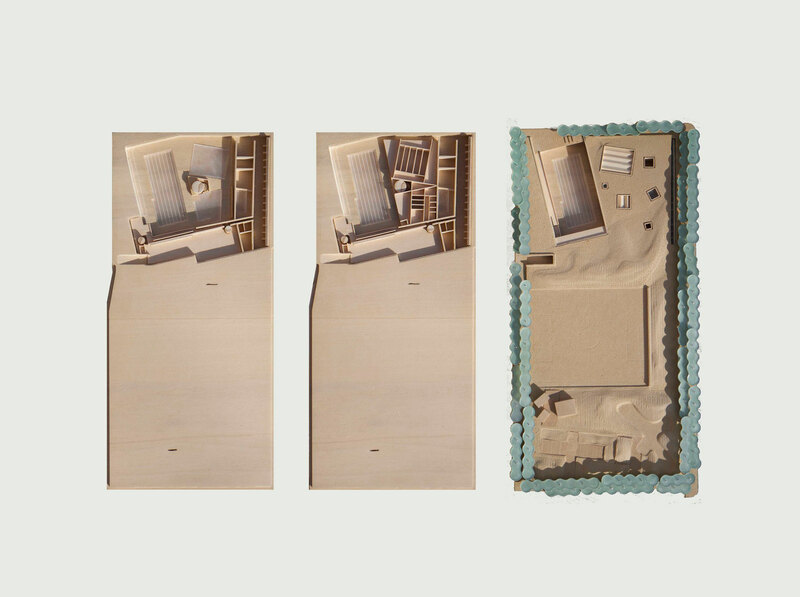 Chrofi with McGregor Coxall, Green Sqaure Aquatic Centre Competition model, 1:200 (Solid Timbers, Basswood, Plywood) 2015. 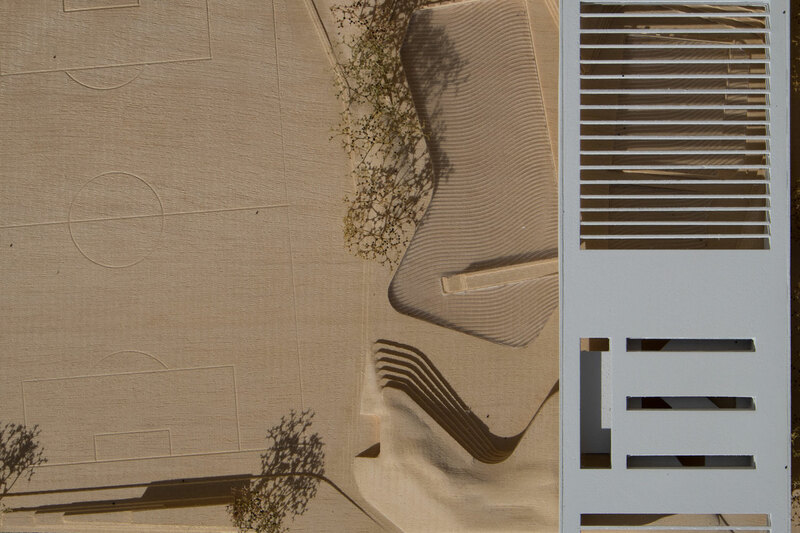 Andrew Burges Architects, Green Sqaure Aquatic Centre Winning Competition Model, 1:200 (Solid Timbers, Basswood, Plywood) 2015. We definitely have a few projects that stick out. The Lune de Sang pavilion by CHROFI architects, was the first job we did, when our firm consisted of four people. We all still had our day jobs, so the project was completed after hours and on weekends, between our various garages. We were learning how to set up and run a business at this point, so we made some decisions about work flow that we couldn’t afford to repeat now. We just wanted to make the absolute best model we could. So we took far too long to do it and all four of us were involved, which in hindsight is a terrible business decision, but it made for a fantastic finished product! 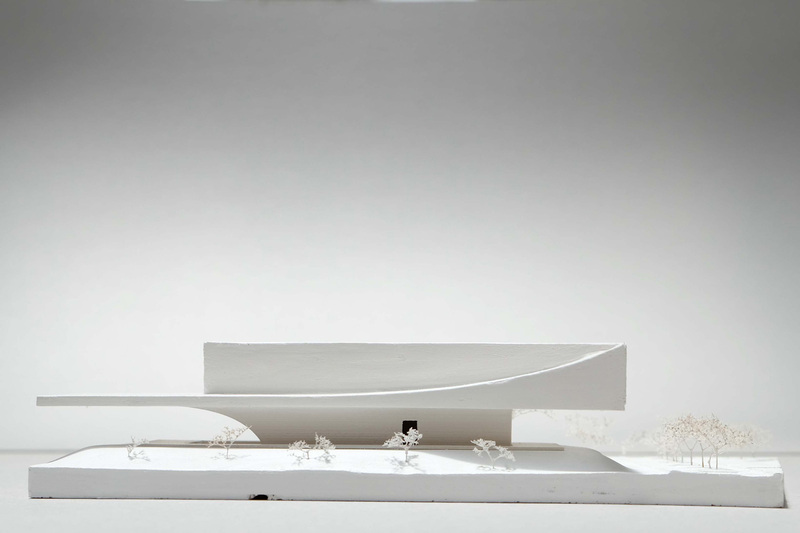 To this day, we have clients saying “I want a model like the Lune de Sang Pavilion model”. Another one that sticks out is, the Green Square Aquatic Center for Andrew Burges Architects. 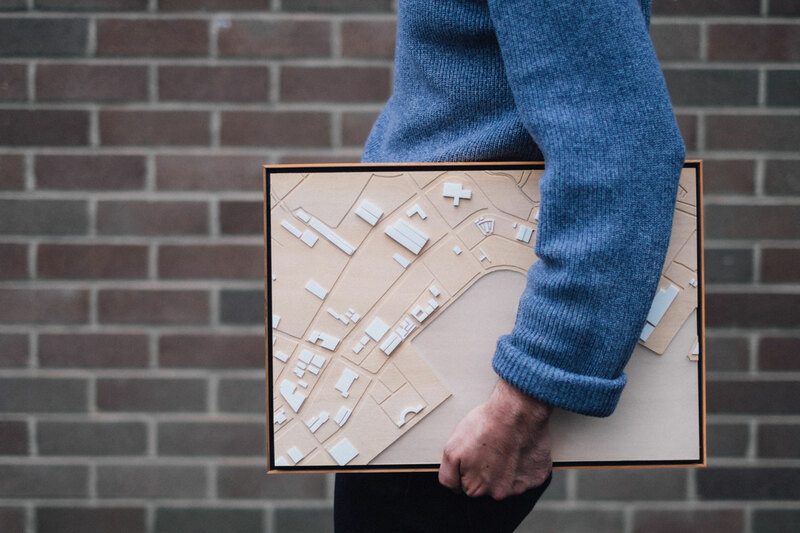 It was a design competition from a shortlist of five Sydney based Architects. Andrew’s firm had a real back and forth model making process in-house, for months, before finalising the design. Their whole office was very vested in the project’s success. They actually ended up winning the competition, and now, one year later, we are still prototyping models with them on the very same project. 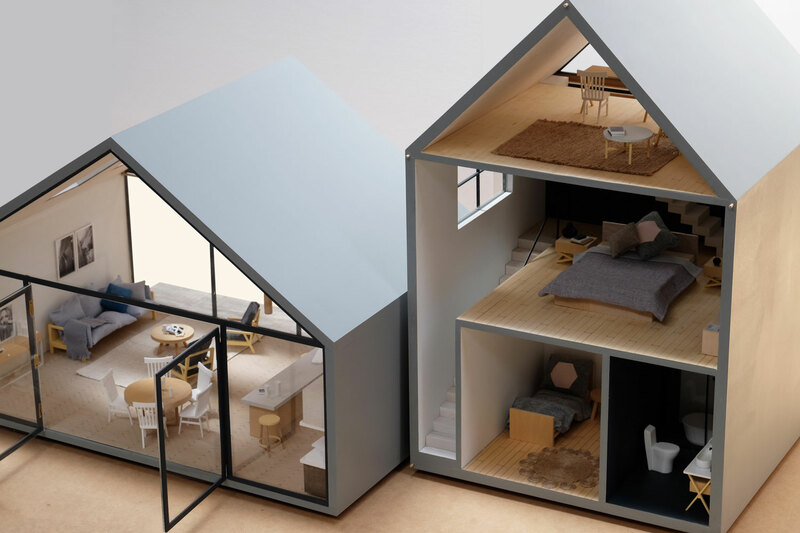 It’s so inspiring to see a firm that uses models through the entire design process, whether it be to resolve issue, communicate changes in the design to the client or test various options in house. Grimshaw, Conceptual Model, 1:200 (Mahogony, Acrylic) 2014. BVN, 1:200 (Solid Timbers) 2015. 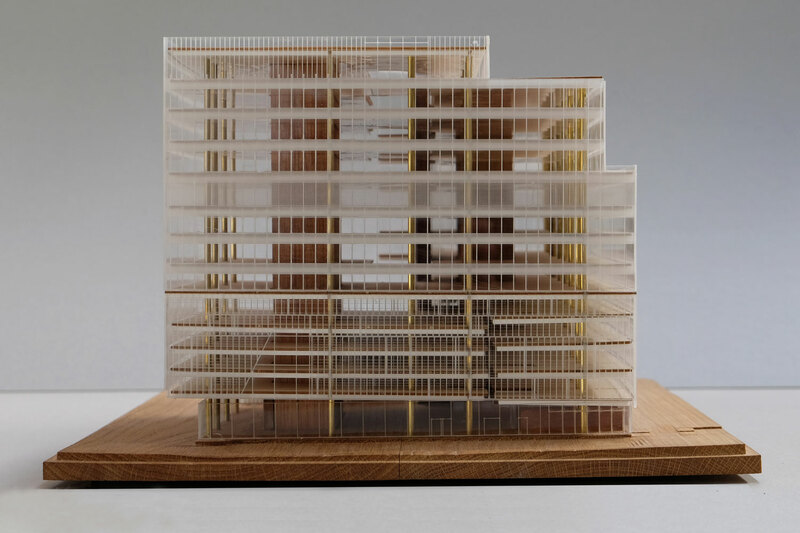 Woods Bagot, Conceptual Model, 1:500 (Solid Timbers, Acrylic) 2015. 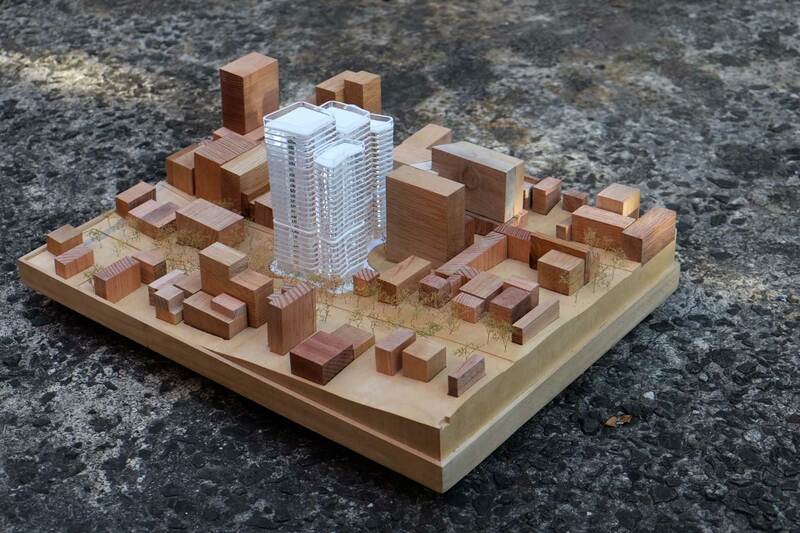 Woods Bagot, Detail of George Street Site Model, 1:500 (Solid Timbers) 2015. + Who or what are some of your influence? What other architects, designers, peers and creatives in general do you admire? 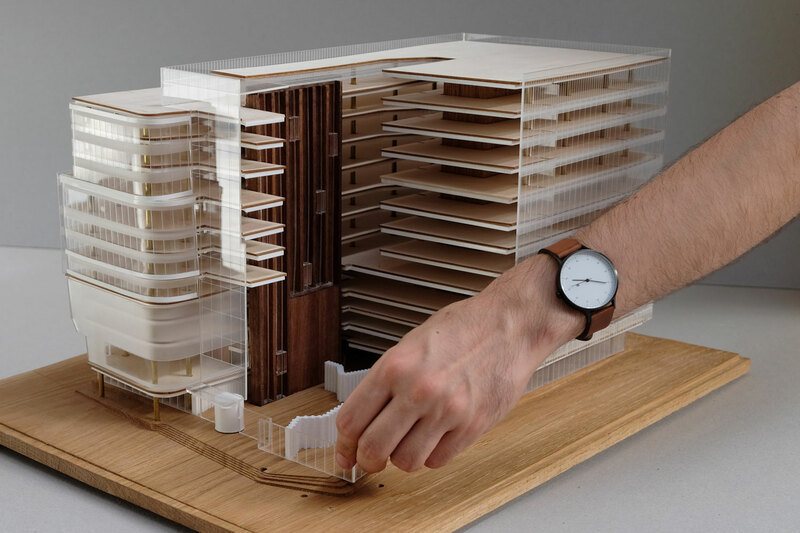 Internationally, we love the work of Vincent De Rjik in the Netherlands who makes amazing conceptual models for all the top European architecture firms, OMA, MVRDV etc. They’ve got an amazing body of work and so much creativity and diversity with what they can achieve in their workshop. 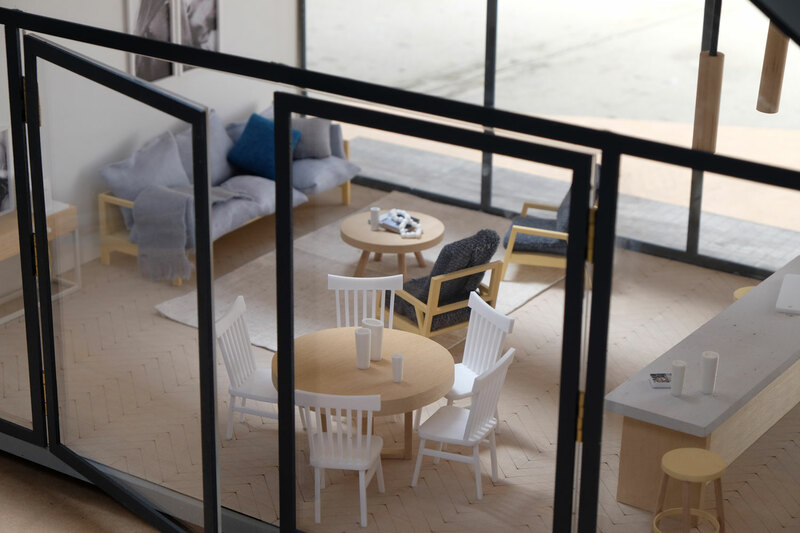 Their models are some what diagrammatic in the way they use materials and colour and the spaces are always animated with people and various pieces of furniture to show the potential of space beyond pure form. Locally we admire a lot of small and large firms. At the risk of not including anybody, and taking up lots of space we won’t name names. But suffice to say, that we generally only work with architects, designers and creatives that we admire and respect. Outside of architecture, we both love art and sculpture which is always a real influence when it comes to fabrication techniques – figuring out how an artist achieved something that challenges human perception is extremely inspirational. We’re also secretly giant furniture buffs, particularly in carpentry. 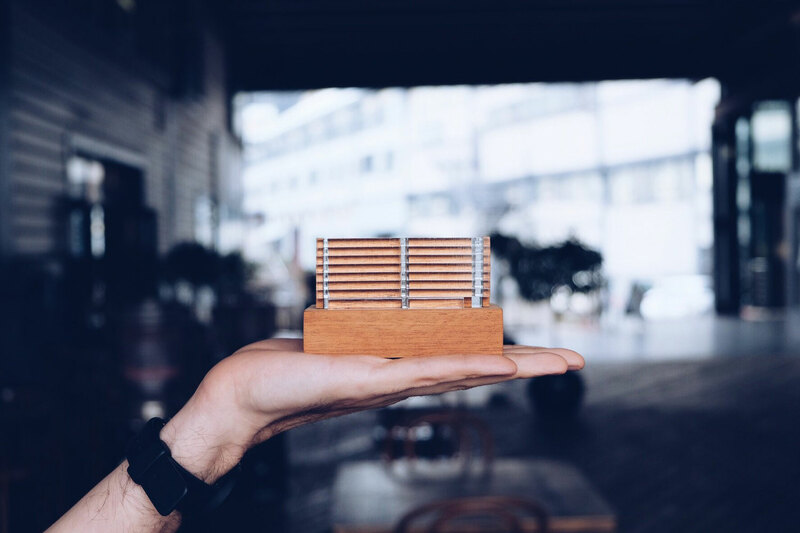 So we’re constantly being inspired by the various ways timber is used in furniture and how this can be applied to Architectural models. Bureau SRH, DA model, 1:200 (Solid Timbers, Acrylic) 2015. 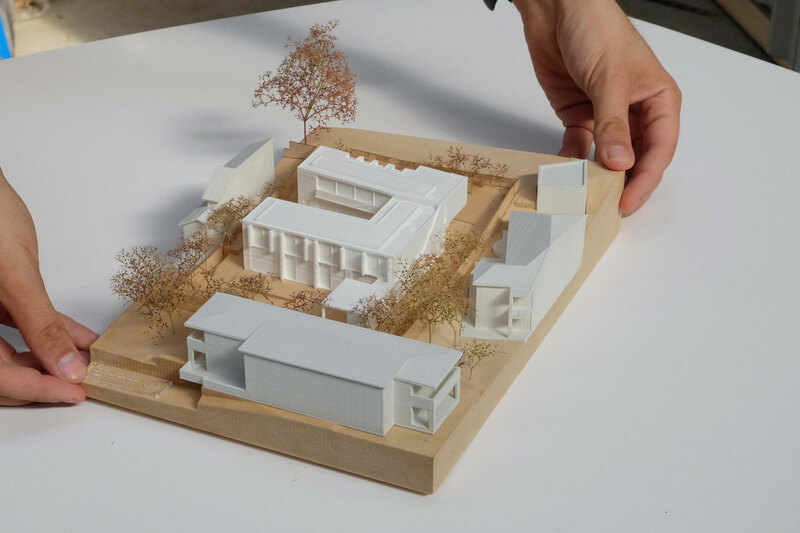 Andrew Burns Architects, Museum of 20th Century Art Berlin Competition Model, 1:200 (Solid Timbers, 3D Print, Plaster, Acrylic) 2015. + What advice would you give to emerging designers who want to follow your path? What was one of your biggest lessons learned since starting your business? When you’re starting a new business, it’s very easy to lose respect for yourself by taking on impossible jobs at impossible rates in impossible time-frames because you think that that’s what you need to do to get your name out there. This undercutting can be common to most design professions like architecture etc. What this can lead to is a real toll on your well-being. So our advice would be to analyse the market. If you think you can produce something of equal quality, in the same time as a well established practice, then respect yourself and don’t take on impossible rates and impossible time-frames. Ultimately if you’re in a creative field and your work is good, that’s what people will value more than saving a buck. Quitting our jobs to start this business, was according to several people “a big mistake.” It was a scary leap and when you make it, it becomes sink or swim. But that gives you a renewed drive, ambition and sense of urgency that is really refreshing and makes each week exciting. Celeste: My Fujifilm camera. I have a terrible memory so I tend to over-document everything! Nikola: My headphones. They’re my happy place. Celeste: I did competitive swimming from the age I was 10, for a period of about 6 years. I chose to wake up at 4:30am, 6 days a week to dive into a freezing cold pool and stare at a black line. Nikola: I’m insanely good at Tony Hawks Pro Skater 2 on PlayStation one. Really good. Celeste: Collecting foam shavings that come off the CNC, I have sandwich bags full of it. I’m convinced that we can use it an upcoming model for a client that hasn’t come forward yet. But when they do, we’re ready. Nikola: Reading books on my Kindle. It gets a lot of hate from paper-back loving hipsters. But it is amazing! Not only for reading, but retaining information you’ve read, as well. I think I’ve made 5 of my friends buy one. Amazon owes me a commission. Nikola: Designing and building something for the set of Star Wars Episode XII. Louis Pretty Deli in Berlin. This was really a excellent example of simplicity at it’s it is best. Good design never shouts, it is always understated. Great work!